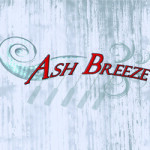 Ash Breeze is an up and coming band from Moore County, North Carolina. 2013 was an exciting year for us. We were signed by Mark Hodges at Mountain Fever Records. We were also blessed to perform on PBS’s nationally syndicated Song of the Mountains in February at the Historic Lincoln Theatre in Marion Va., Bluegrass and Barbeque at Silver Dollar City in Branson MO and Dollywood in TN, South Carolina, Houstonfest in Galax VA, and Bluegrass Festivals in Vermont, Nova Scotia and Prince Edward Island Canada, as well as other great venues. Our Faith is also important to us and an influence on who we are and our music. Trained classically until they switched to Bluegrass in 2010, they have created their own sound that defies labels. In their music you can hear many influences, including folk, jazz bluegrass, classical, blues, and Christian musical influences. What you will hear is a distinctive sound strong on instrumentation with tight, beautiful family harmonies. Nellie is quickly making a name for herself with her strong, distinctive beautiful and soulfull singing and smooth melodic award winning fiddle playing that has been greatly influenced by greats like Stuart Duncan and Andy Leftwich. Corey plays the guitar and sings and has a great style of his own that finds its way into the original music he writes. Corey is also the Producer of Generation Bluegrass, a video bluegrass project that is drawing a lot of attention. Luke plays banjo and the Cajon, and plays with a steady, and polished style. Eli plays mandolin with speed and finesse that is beyond his years and he also sings harmony vocals. Finally, Allen (Dad) tries to keep it all together on bass. Don’t judge Ash Breeze by their age, but by their creative and distinctive sound that is fresh, creative, and mature. Ash Breeze was formerly known as The Smith Family Band and was changed in the Fall of 2013. In 2013 they played bluegrass festivals in Vermont, Canada, and South Carolina. They also performed at the Barbeque and Bluegrass Festivals at Silver Dollar City in Branson, Missouri and Dollywood TN. In addition, they played at Houstonfest in Galax, Virginia the last 2 years, as well as many other venues. They were also featured WUNC’s nationally syndicated show Song of the Mountains on the same show as Doyle Lawson and Quicksilver. That show will air in the spring of 2014. Ash Breeze’s CD release with Mountain Fever Records in February of 2014 was produced by Aaron Ramsey and Mark Hodges, and is marked mainly by original material written by the band members.